I have always admired the Italians for their splendid display of fashion and style. Quite naturally, I was ecstatic to hear that a Milan headquartered high-street eyewear brand called NAU! 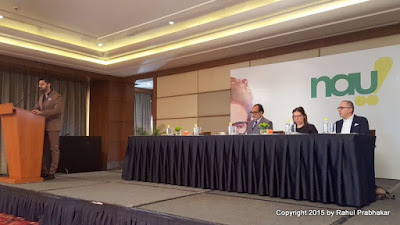 was launching their unique products in India. Being a lifestyle blogger is awesome! You often get firsthand access to swanky products, sometimes months before they actually hit the market. I have always used these opportunities to interact with the design/operation teams and provide them candid feedback about the products being previewed, whenever necessary. Ms. Monica Salvestrin, Creative Director at NAU! It has been a decade since the brand NAU! was first launched in the Italian market. 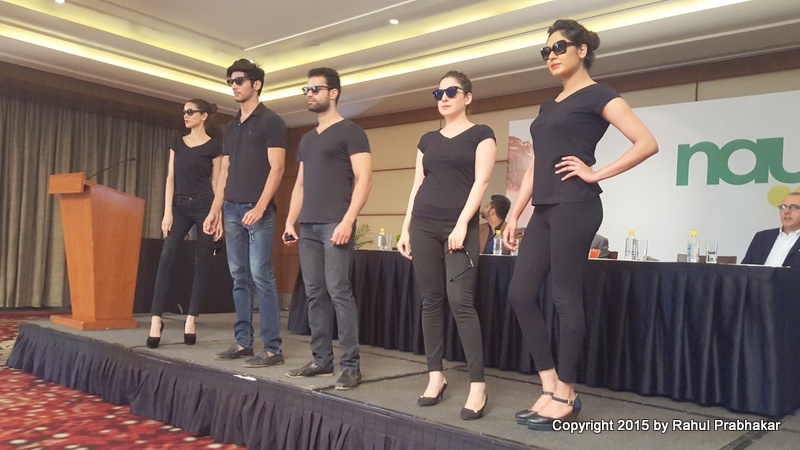 With a work force of over 500 people, the brand has expanded to 90 stores globally. Fabrizio hopes that the new store launch in The Ambience Mall, Gurgaon will prove second time lucky for the brand. 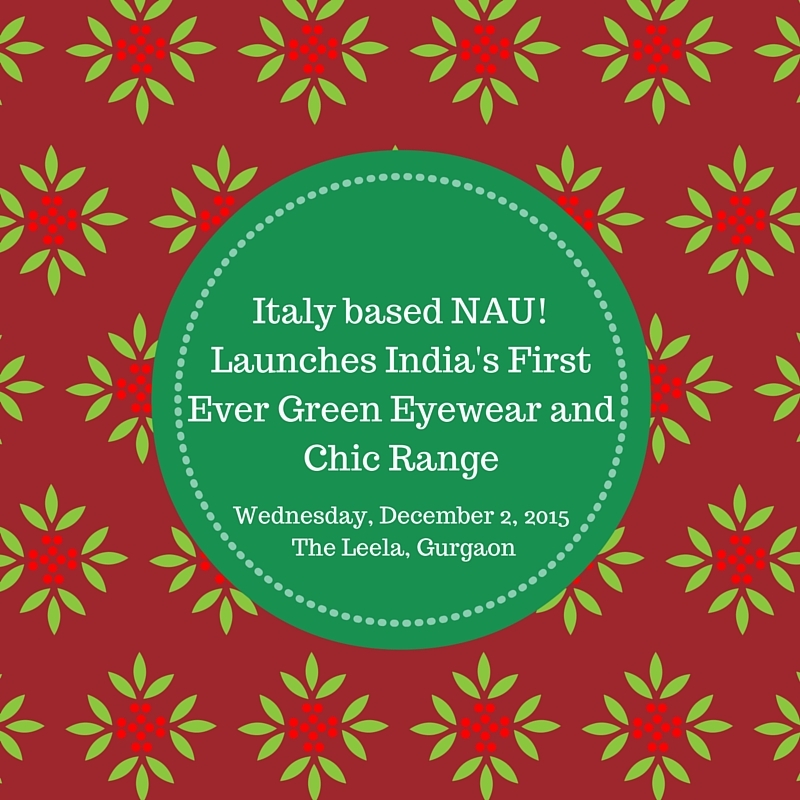 By announcing the launch of its second store in Gurgaon, NAU! promises a fusion of style and comfort. The target audience for NAU! in India includes both men and women, looking for something different, especially in terms of design and color. Models Sporting the All New NAU! 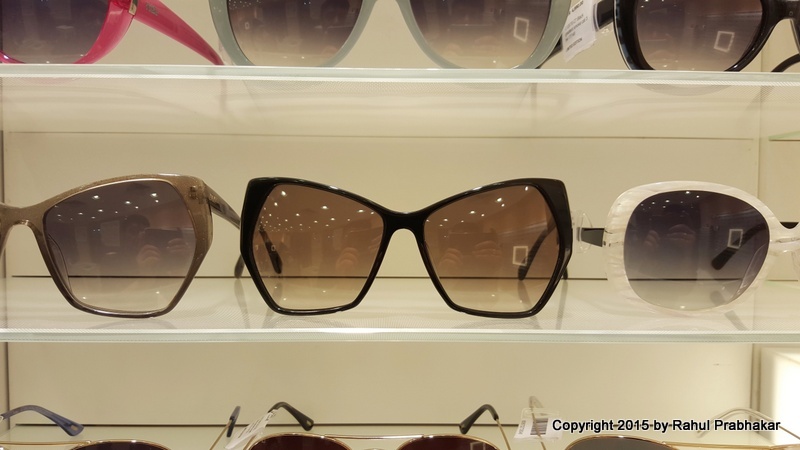 The stock is available in 'limited edition' only, and the company intends to introduce frames in new styles every 15 days. Fabrizio also hinted on the company's strategy for India - maintaining low volumes and reducing intermediaries by moving the product from 'design' to 'shop'. Models Sporting the Green Eyewear Collection from NAU! I was quite impressed with the low price point of these products. The starting range is priced at INR 1,990 only and goes up to INR 9,990. The Green Eyewear Collection is made of 96% recycled plastic material, which is in sync with the company's commitment towards protecting the environment. The company tries to recycle anything that can be recycled. 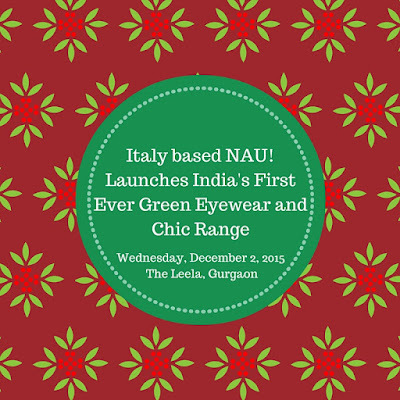 Customers in India can expect new eco-friendly, colorful, and funky range from NAU! 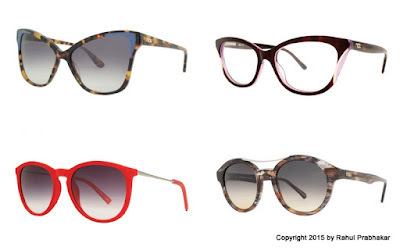 that includes both sunglasses and optical frames with 100% UVA/UVB sun protection. The Hyaluronic Gel based Contact Lenses rehydrate the surface of the cornea for improved comfort. I am surprised that NAU! does not have an online strategy yet for selling in India. Knowing how successful ecommerce has been in India, this looks like a major disadvantage for the brand at the moment. Consumers in India generally look for a great online shopping experience, and an Android/iOS app could just provide NAU! a major boost in sales. Fabrizio believes it is only a matter of exclusivity, similar to other big Italian brands like Prada, Gucci, or Armani. A Unique Shade from NAU! Also, there is no concept of 'in-time delivery' at NAU! Customized frames are prepared and shipped in standard delivery times. NAU! seems like a young, smart fashion brand that has its heart in the right place. The brand certainly exudes passion and confidence, necessary ingredients to succeed in today's time. Monica likes to put customers in the middle of the entire creative process, and strongly believes that visiting a NAU! Optical Store in Gurgaon will truly be an experience to remember for Indian customers. The layout of shop, for example, is visually appealing with hues of green spread across the store. From the time you walk into a NAU! store, all salesmen are willing to assist you - be it for a free eye check-up to the point of purchase. Monica credits technology for the 'clean shape' design and trendy colors of the frames. As part of the promotional strategy, all frames purchased from the NAU! 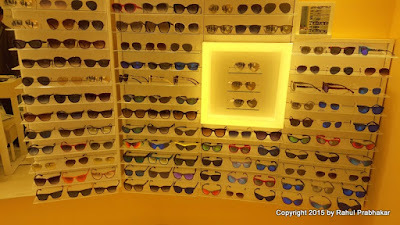 Optical Store in The Ambience Mall, Gurgaon are free of cost. You only pay for the lenses! So there, what are you waiting for? If you believe that being unique is desirable, come and experience superior quality at low cost, courtesy NAU!